Bonjour, messieurs et mesdemoiselles! Greetings from France! Europe, now in the midst of a series of contentious elections, is a hotbed of misinformation much as the United States was last fall, as political muck purveyors have refocused their efforts here while the iron is hottest. As a result, we have enjoyed an overwhelmingly enthusiastic response to our software concept. Making connections with Euro media groups is timely, given that Grapple is preparing to launch a prototype web application in August, which we will target for journalists and other professional researchers in a beta testing round this fall. Thus far, we have connected with several European startup review and investment consultancies, and a top European media consultant, who has been advising institutions including the BBC, Associated Press and Guardian newspaper on technological adoption. In Paris we are courting media around the world to join our conversation about misinformation bred through online search engines. We hope these conversations will sharpen the functionality of our forthcoming software. We are also kicking a summer-long crowd funding and awareness campaign centered around misinformation, disinformation and the post truth age. We have been distributing stickers and fliers throughout European cities. 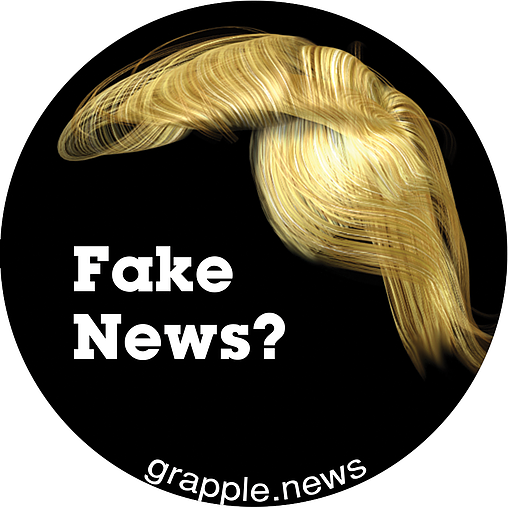 We soft-launched an online Donald Trump hair 'Fake News' t-shirt store Thursday. Shirts are now available online for $25, and all profits from the sale of these t-shirts will fund development of our online authorship initiative, designed to connect news readers with more reliable sources of information. 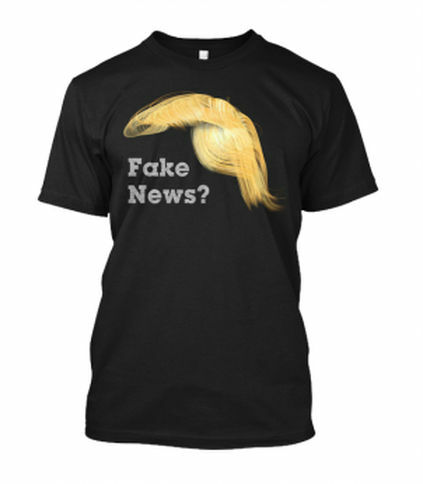 Whether you are concerned about the authenticity of our 45th President's hair, the president himself or the reliability of the American news media, you probably need one of these shirts. The shirts are currently available in three different colors and designs. It appears our campaign is gaining traction. 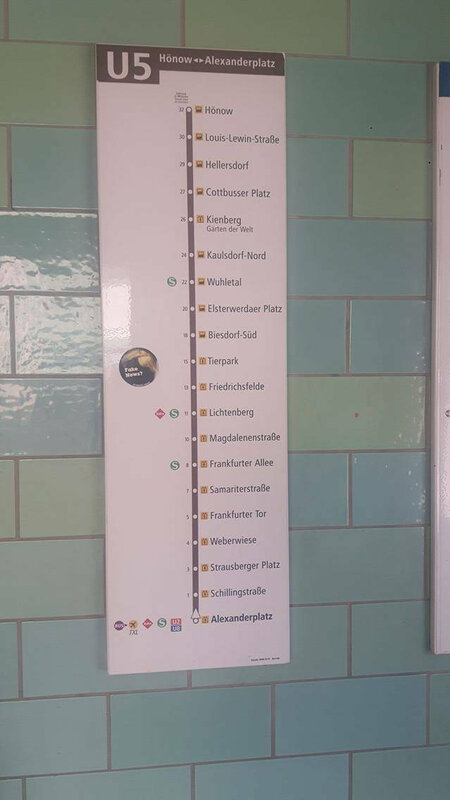 A friend sent in this photo, taken this week inside the Alexanderplatz U-bahn subway station in Berlin (neither of us have been in Berlin).